Africa is soaring up the ranks when it comes to honeymoon destinations of choice. South Africa, Kenya and Tanzania all featured in Kuoni’s Top 20 honeymoon destinations for 2018 – based on bookings – in its most recent Honeymoon Trends Report. It’s a similar story at Honeymoon Dreams, where head of marketing Tom Pestridge says: “There has been massive growth in Africa over the past year or so. It is undoubtedly our fastest growing region for honeymoons. Almost triple the number of Africa honeymoons were booked in 2017 compared with 2016, and we are on track for an increase this year. 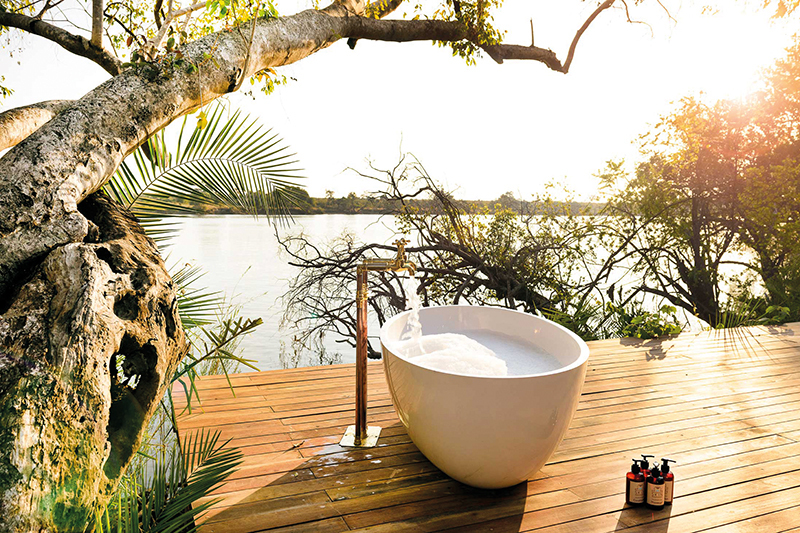 South Africa is now our sixth most popular honeymoon destination.” If you have clients following the trend and seeking a post-nuptial getaway to Africa, we’ve got suggestions from across the continent to inspire romance and deliver lasting memories. While a bush and beach twin-centre is likely to be the most common honeymoon enquiry, it’s worth thinking outside the box to add something extra and perhaps give your recommended itinerary the edge. If your clients are twinning Cape Town with a Kruger safari, make the journey that bit more relaxing by booking them on to the Blue Train. From January 2019 the timetable on the Cape Town-Pretoria route (and vice versa) is being altered to give passengers an extra night onboard, a longer excursion in Kimberley and a more laid-back experience. Another option is Rovos Rail. Newlyweds can revel in luxurious 1940s-style surroundings with no mobile phones or tablets allowed in public areas and a formal dress code at the romantic lamp-lit dinners. Sovereign luxury Travel has a 14-night South Africa Rovos Journey tour including two nights onboard the train. Other options include a three-night Victoria Falls trip, a nine-day Namibia safari and a 15-day journey that takes in South Africa, Botswana, Zimbabwe, Zambia and Tanzania. There are few things more romantic than sleeping out under the stars. 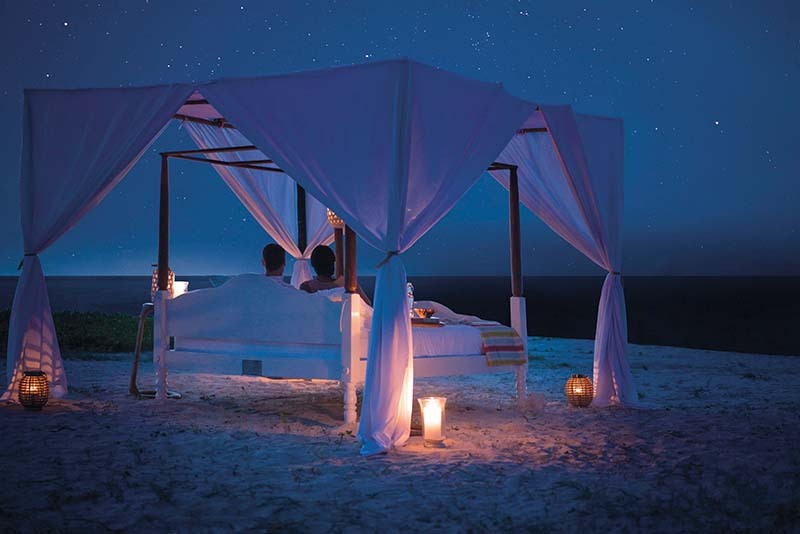 Add the wow factor to your clients’ first getaway as a married couple with a night in a “star bed”. At Anantara Medjumbe Island Resort in Mozambique, couples can sleep al fresco on an uninhabited island. They will journey by dhow boat to the island, looking out for dolphins and humpback whales on the way. They’ll then feast on a gourmet dinner before being left in solitude. For intrepid types keen to sleep out in the bush, Wilderness Safaris offers a star-bed experience in its DumaTau camp in Botswana, with front-row seats at wildlife magnet Zibadianja Lagoon and in its Linkwasha Camp in Zimbabwe’s Hwange national park. If they are less keen to sleep outdoors, guests at Wolwedans, a lodge in the NamibRand nature reserve, can enjoy a starlit dinner with 360-degree views of some of the world’s darkest skies, which make for excellent stargazing opportunities. Safaris are a perennial honeymoon favourite, but with clients increasingly demanding something unique, how can you make their itinerary stand out? 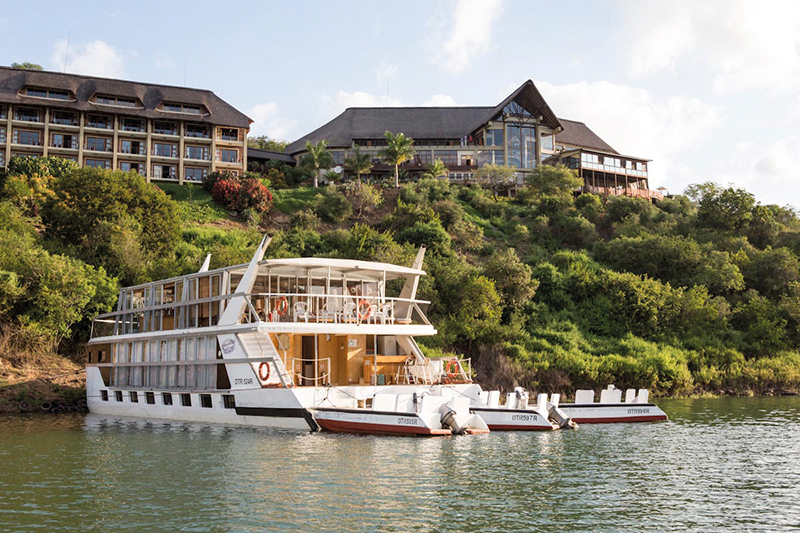 Premier Holidays’ South Africa product manager John Parker suggests Shayamanzi houseboats. “They are the only ones of their kind in the whole of South Africa. This unique accommodation on the shores of Lake Jozini is ideal for an off-the-wall experience,” he says, recommending that honeymooners add two or three nights here to soak up views of the Lebombo mountains and the wildlife of the Pongola Game Reserve. Further north in the Waterberg region, Ranch Rider offers stays at Ant’s Hill, where couples can enjoy safaris on horseback as well as guided walks, wine-tasting evenings, night-sky safaris and romantic private dinners. A go-to option for a standout Kenyan wildlife experience for clients on a healthy budget is The Safari Collection’s Giraffe Manor, where the herd of Rothschild’s giraffe often visit guests during breakfast and dinner. However, don’t overlook the group’s other properties, including Solio Lodge in Laikipia, home to the most successful rhino breeding reserve in Kenya plus two prides of lion. Or Sasaab, a larger conservancy where guests can also enjoy insights into the culture of the local Samburu people. Clients are often keen to twin a safari with another experience. “We book a lot of bush and beach itineraries, and Mauritius and Zanzibar are the most popular places to twin with a safari for our clients,” says Honeymoon Dreams’ Pestridge. While you may have a tried-and-tested repertoire of safari and island combinations, what about something a little more unusual? Audley Travel has a Zambia and Malawi itinerary with accommodation in Green Safaris’ five-star eco-properties. Guests can spot wildlife in Kafue national park, the largest and oldest park in Zambia, before relaxing and enjoying watersports at Kaya Mawa, a lodge on Likoma Island, Lake Malawi. For those keen to sample some of South Africa’s renowned wines in luxurious surroundings, suggest Virgin Limited Edition’s Winelands and Wildlife package. It combines wildlife watching at Ulusaba – which has a new Safari Suite that launched in June – with a trip to hotel and vineyard Mont Rochelle in the Western Cape. Clients who have visited Africa before may be keen to return for their honeymoon but want to try something different, so you might need to think beyond the destinations that make it on to “most-popular” lists. 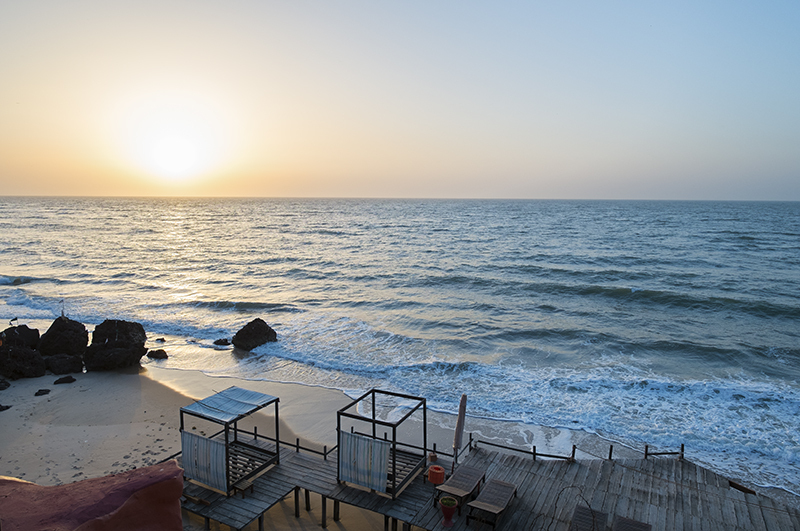 Karen Durham, product manager at The Gambia Experience, says the west African nation makes for a unique honeymoon experience. “There is luxury, sunshine and amazing wildlife, or cultural experiences for the more adventurous, without the stress of a long-haul flight and at a fraction of the price,” she says, adding that neighbour and former French colony Senegal is a good twin-centre option too, with “excellent accommodation and French-inspired cuisine, along with truly outstanding scenery, beaches and wildlife”. Alternatively, the sweeping savannahs of Botswana’s Okavango delta offer an idyllic escape from the stress of wedding preparations. The Lodge at Feline Fields is an indulgent base with spacious suites where guests can enjoy private dinners. Activities including sand-biking and tennis, while open-air spa treatments are also available. Mozambique is a popular choice for South African honeymooners – and with good reason as its beaches are postcard perfect. AndBeyond’s Benguerra Island Lodge boasts soft sands and a deep channel that cuts straight out to sea, enabling swimming right off the beach, even at low tide. Suggest wildlife spotting in Kafue, Zambia’s oldest national park. Audley Travel offers a seven-night trip starting from Lusaka airport and finishing at Lilongwe airport, including accommodation at Ila Safari Lodge, Kaya Mawa, flights and transfers from £3,350pp. Think beyond the obvious with a Gambia and Senegal twin-centre. The Gambia Experience has four nights’ B&B at Ngala Lodge in Gambia and three nights’ half-board at Fathala Wildlife Reserve in Senegal, from £1,049pp including flights and transfers. The Safari Collection’s Sasaab Lodge allows guests to share in the traditions of the Samburu people. Abercrombie & Kent has an 11-night Classic Kenya trip, including three nights at Sasaab Lodge from £5,575pp, based on two sharing. Price includes flights and transfers. 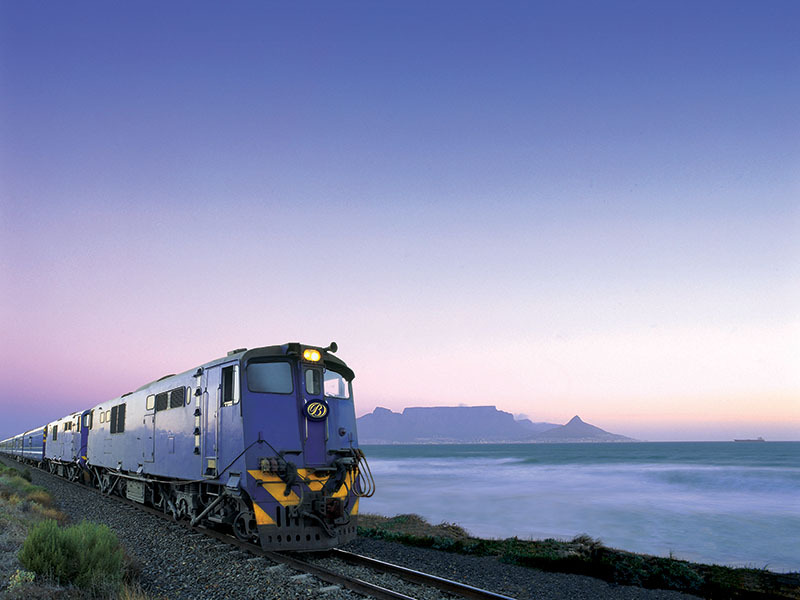 The Blue Train makes for a relaxed way to combine Cape Town and a Kruger safari. Travel 2 has a 10-day Cape Town, Blue Train and Safari package from £3,569pp, including flights and airport transfers, based on a March 2019 departure.